Virginia State Board of Censors (Motion Pictures). 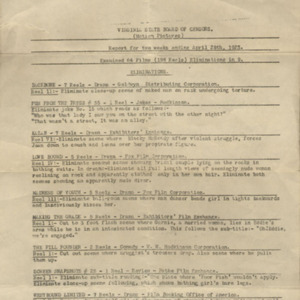 Report for the two weeks ending April 28th, 1923. 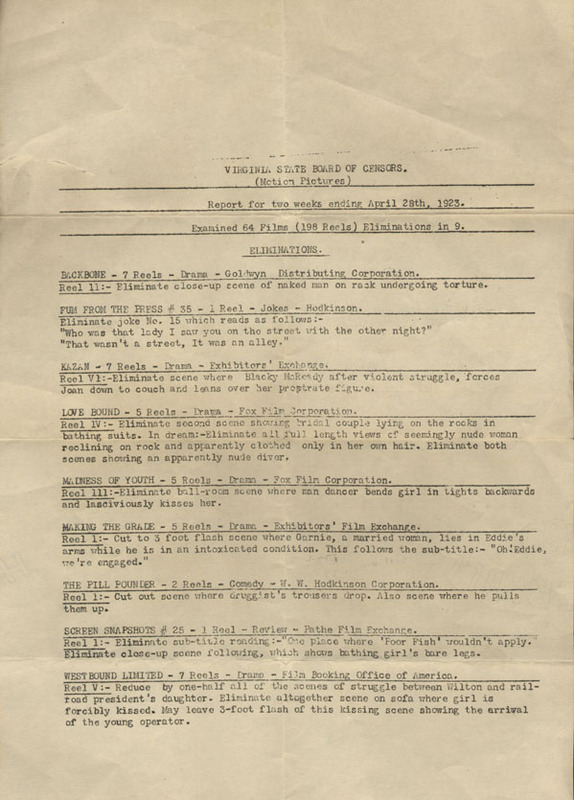 “VA State Board of Censors,” University of Virginia Library Online Exhibits, accessed April 25, 2019, https://explore.lib.virginia.edu/items/show/651.